Perfect for the months of autumn, these blooms showcase the colors of the fall seaon. 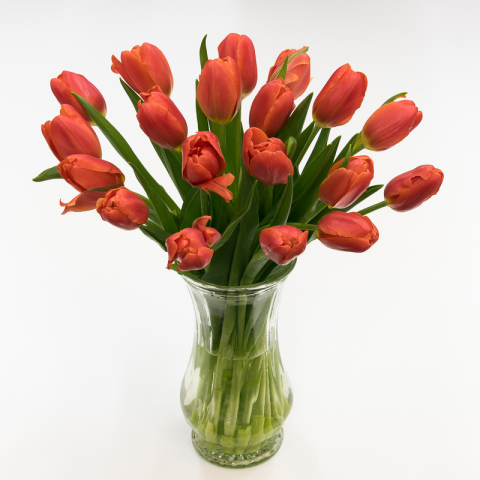 Autumn Orange tulips are a specialty variety delivering big blooms and bright colors, but the vase life for this particular variety is not quite as extensive as some other colors. In our opinion it's a worthy trade. As always, cooler room conditions will extend the life of your blooms.